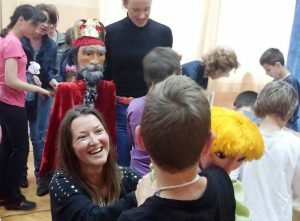 Within the context of volunteering activities, New Acropolis presented a puppet show based on the popular book “The Little Prince” at the Institute of Education and Care for children with special needs of Mjedenica; at the Center for the blind, and for children and young people with visual impairments, and at the Home for children without parental involvement of Bjelave. After each performance, the children and young people had the opportunity to spend time with the characters of the show. Everyone also received puppets designed and made by the volunteers themselves in the puppet workshops, as well as coloring books of the Little Prince.